Premium grade 18 gauge stainless steel combination bowl sink, featuring d-shaped main bowl, and small bowl left hand position. Rear drain positions afford more storage below the sink, and silk finish on rim and bowls deliver on bright and shiny good looks, without sacrificing on ease of cleaning. 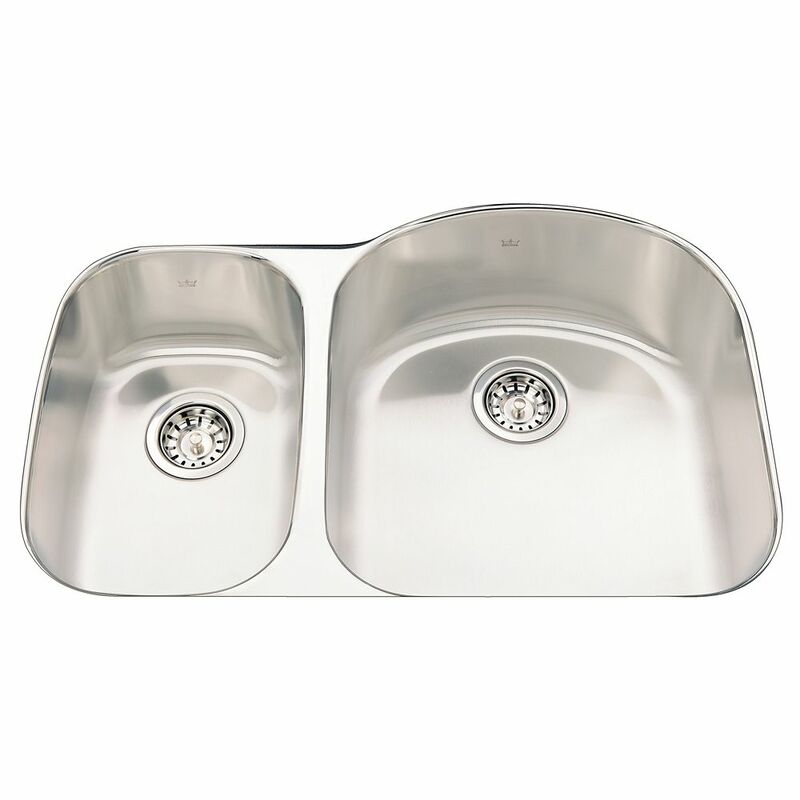 Kindred Combination 20 Ga sink 1 hole drilling - 20-1/8" X 33-1/4" X 8"
Combination bowl 20 gauge stainless steel topmount sink. Small bowl, right hand position. Includes faucet ledge with a 1 hole faucet drilling. Rear drains to allow for more storage below. Sink bowls are easy care satin finish. Sink includes waste fittings and is backed with a Limited Lifetime Warranty. Combination 18 Ga sink Premium grade 18 gauge stainless steel combination bowl sink, featuring d-shaped main bowl, and small bowl left hand position. Rear drain positions afford more storage below the sink, and silk finish on rim and bowls deliver on bright and shiny good looks, without sacrificing on ease of cleaning.